So I realized today that I've been on the forum, posting more and more regularly for nearly a year now and yet when I first joined up, I never did an introduction post. So maybe it's time to change that. I've been into LEGO for as long as I can really remember, although I know that my interests didn't really start establishing strongly until I was about 5 or 6. 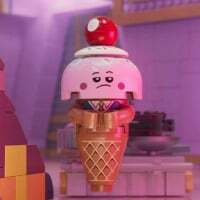 As far as I know, I never had any Duplo as a toddler but I did start playing with the LEGO which my uncles had left at my grandmother's house at a fairly early age. The first set that holds really substantial memory for me is #6378 which I would have gotten at 6 or 7, although I know by that time that I had some other smaller sets of my own. My biggest interest as a child was Town for sure, but I also had a strong affinity for both Castle and Space. Forestmen and M:Tron were big hits for me. I had a lot of police, fire, and hospital sets and had a large (to my small eyes) city set up in my room. Then Pirates came out when I was 10 and it immediately became my favorite theme! One of my great regrets is that I didn't take better care of my Pirates sets over the passing years. #6276 Eldorado Fortress was my most absolute favorite set then (#6285 probably would have been, but I didn't have the luxury of owning it)! Even as I progressed into my early teens I still maintained an interest in LEGO and kept building and buying sets and making my own creations all the way through high school (though at a slower rate as things like music and girls came into my world view). The launch of Star Wars was another big hit for me. By this time I was in college but being a life-long Star Wars fan it was a no-brainer for me. #7191 and #7181 were by first two big UCS sets and ones I still proudly own. Even the original Millennium Falcon #7190 holds a special place for me. Not too long after this I met my wife, moved away from my parents and out of state and soon after got married (just a couple of weeks before 9/11). As adult family life took over, LEGO became much more of a side interest, but it was always present. This would be what I would consider the beginning of my Dark Ages "light". I didn't really buy sets for myself for quite a few years other than the super occasional small impulse. My son was born in 2003 and that of course brought on a whole new stage of life. From the earliest age, I bought him LEGO sets, from Duplo and then graduating up to system and technic. For the next 9ish years I pretty much only bought LEGO sets for him and not for myself, just getting the joy of building and playing with him. I also (to my later regret) "gifted" all of my LEGO collection (except a handful of sets like the UCS sets) to him as he got older so he'd have more bricks to play with. We went to LEGOLand for the first (and sadly, the only time so far) in 2012 which was such a fun experience for us all. Earlier that year was also our first time going to a LEGO convention (Bricks Cascade in Portland). This was a definite step in revving back up my passion for LEGO and started me back into buying myself the occasional set, but it was still pretty minor. Most of my collecting energy (for I am truly a collector at heart) and money was at this time still into music but LEGO was certainly a passion once again. 2014 comes and we have the LEGO Movie! This was another step in revving up my love for all things LEGO. The first big set I bought solely for my own enjoyment in quite a long time was Benny's Spaceship, Spaceship, SPACESHIP! #70816. I think it was around this time as well that I started watching LEGO YouTubers quite a lot, which also fueled my passion. The large Creator Expert vehicles were what really caught my interest next. #10220 and #10252 coming first and second. At this point in time I was starting to get the large "adult" sets for myself at the pace of one or two a year. I picked up my first UCS set since 2000 as well, #75060 Slave 1. I picked up #10237 at the end of 2016 which really kicked off another level. I had seriously regretted the fact that I hadn't bought the Lord of the Rings and Hobbit sets when they were on the shelves (and on sale!) because I'm also a huge book nerd and an avid fantasy reader. Tolkien is one of my favorite authors of all times. Up until this point, the only LotR set I had owned was #9469 which was actually a gift from my son in 2012. The collecting fires were blooming and over the next year and a half I made it a goal to get all of the LotR sets at reasonable prices. So between a combination of Bricklink, eBay, and the Forum Marketplace, and with a great deal of patience, I made this a reality. Last year I joined the Brickset Forum (having already been using the Brickset sight for quite a few years) because I wanted to start getting more into the AFOL community. I started working in earnest on my first real MOC which I displayed at the state fair and then at Bricks Cascade. Attending Bricks Cascade last month was also another big step for me in becoming an active AFOL on the community. And so here we are today. I'm buying LEGO regularly for myself (much to my wife's chagrin) and trying to figure out how to budget more for what is in truth a very expensive hobby. I have gone through and re-assembled quite a number of sets from my childhood and have added to the "classic" collection with other purchases. I have a significant amount of LEGO on display in my house. I try to build regularly, but my building still far outpaces my buying at this point, so this backlog of which you speak is still a mystery to me. As my son has hit his teenage stride (he's 15 now) I am very grateful that he is a very strong TFOL and that LEGO is a hobby we can share in together. I am super grateful also to have found the AFOL community a very welcome and enjoyable place to spend my time. 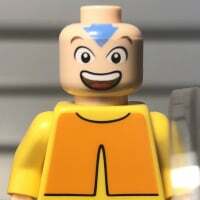 I've absolutely loved participating in the Brickset forums. I also have started to participate in my local LUG though only online as of now since it's meeting schedule is at a conflict with mine. So all of this is to say, "hello, my name is Chris and I'm an AFOL." Belated welcome! Not Lego related, but I’m curious to know what 90’s alternative music you like? I was a teenager living south of Seattle in the 90s, so grunge was everywhere and everything at that time for me. Nirvana was/is my favorite, of course, but Alice in Chains, Soundgarden, Pearl Jam, Blind Melon, Live, Tool, Eve6, Candlebox, R.E.M., Seven Mary Three, Hole, Smashing Pumpkins, Veruca Salt... too many to mention. I also really got into the pop punk stuff of the mid 90s like Green Day, Offspring, Bad Religion, Social Distortion, Blink-182, Decendents, and MxPx (which is my all-time favorite band). MxPx (which is my all-time favorite band). They are central to my Life In General. So it's possible we've crossed paths in different circles. I have run the MxPx fan club for about the past seven years, I used to run all of their social media, and do their website. I also have a huge MxPx collection (one of those things I used to spend more time and focus on collecting than LEGO). I'm still involved with the band to a great extent, but not quite as heavily as I used to be. My Instagram is like 95% MxPx content... LOL. Well that is a lot more than I can say. My first car had a Pokinatcha Punk on the back window and I went to a bunch of their shows. Between MxPx, Sanderson books, and Lego we are basically the same person? Weird. Has anyone ever seen @Bumblepants and @pxchris in the same room at the same time? Bulgaria, Texas, and Oregon... Bumblepantspxchris gets around! I’m glad I asked now! It seems to have revealed a non-Lego connection. Being English I was more into Britpop back in the 90’s (Supergrass are still my favourite band of all time), but I was rather partial to a bit of Veruca Salt and Green Day back in the day. @SumoLego, just how many alter egos do you have?! I think I've been discovered - as I don't know much about '90's grunge. Although my first and only cassette tape purchase was 'Ten'. And my first car was a '72 Chevelle. I dislike camping (for the most part) and the only thing about Oregon I know, I learned from 'The Goonies'. Everything I know about the US, I learned from The Goonies. 100% accurate history of the great Pacific Northwest! Fun side note - Astoria (the Oregon coastal town where much of The Goonies was filmed) is one of my absolute favorite places to visit. I've dreamed for a long time about buying a vacation home out there someday. 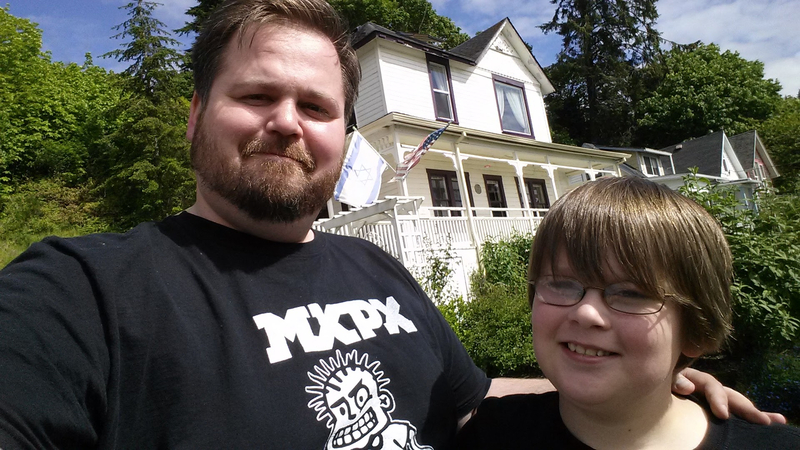 I've been to the Goonies house a number of times (you actually cannot visit the home any more due to a bunch of complete idiots who ruined it for everyone else). I did love visiting Oregon in 2017 during the Great American Solar Eclipse. Got to see Crater Lake NP, Salem, Lewis and Clark NHP, Astoria, Fort Vancouver (WA) and Rogue River. The only thing I thought unusual was having someone refuel my vehicle for me (nice luxury though). For being a neighboring state, it’s a long road trip from San Diego. I also grew up listening to alternative music. @vwong19 We had so, so many visitors up here for the eclipse! It was a little crazy. We were lucky enough to live pretty much right in the best area for it, and literally only had to walk a block down to the local park to thoroughly enjoy it. I'm glad that you enjoyed visiting! (And yes, that is quite a long road trip, I've made it a few times southbound myself).